MANILA -- The National Disaster Risk Reduction and Management Council (NDRRMC) has deployed an additional 14-man multi-agency national incident management team to augment the ongoing rescue efforts in the Cordillera Administrative Region (CAR), NDRRMC spokesperson Edgar Posadas said during a briefing Monday. 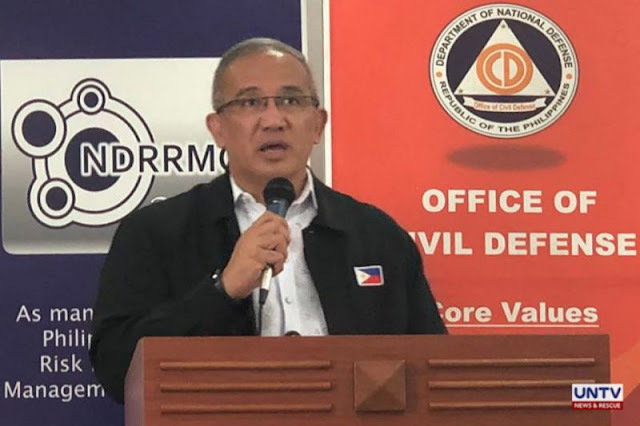 Posadas said the unit left Manila around 11 a.m. Monday and was deployed following the request for additional manpower from Office of Civil Defense-CAR Director Ruben Carandang, which was coursed through NDRRMC executive director Ricardo Jalad. Also, four search rescue-and-retrieval teams, three emergency telecommunication teams and one rapid damage assessment and needs analysis team will be also be deployed to the affected areas. The NDRRMC spokesperson also appealed to the public for understanding regarding their release of casualty and damage figures related to "Ompong". He added that that the NDRRMC is following procedures set-up during the aftermath of Typhoon Yolanda in November 2013. "Meron po tayong proseso ng pag-validate ito po ang tinatawag natin na (We have this process of validation called) Management of Missing and the Dead Cluster. This is part of the response cluster (of the) DILG (Department of the Interior and Local Government). Ito po ay nakapaloob sa dokumento na (It is stipulated in a document) NDRRMC Memo Circular No.19 Series of 2016. To discuss with you, initially may dalawa po itong phases. 'Yung isa ay assessment, meaning ito po yung nire-report ng lokal na pamahalaan at pulisya yung mga nakikita nila na bangkay o mga (One is assessment, meaning this comes from reports from the local government and police regarding the corpses that they see or) reported na dead bodies subjected to validation process by doctors of (the) DOH (Department of the Health)," Posadas stressed.